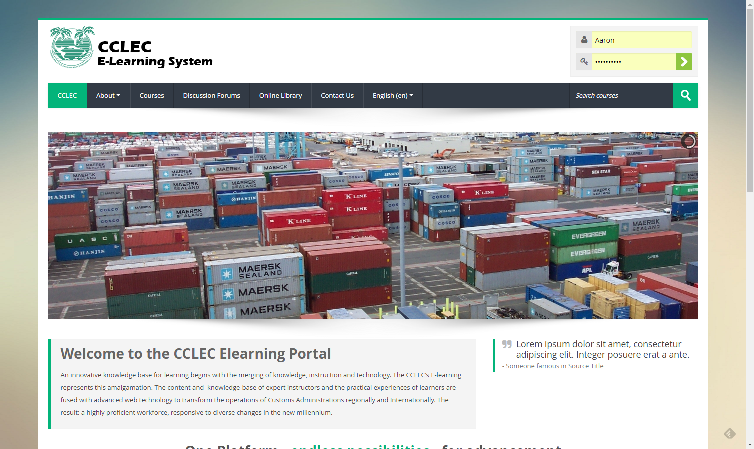 The CCLEC E-learning System was developed for the primary purpose of creating a highly skilled, qualified and strategic Customs workforce. The system is poised to transform regional Customs training and management by eliminating time and space issues; financial costs; as well as foreseeable disparities in module and course content. By utilizing robust technology, multiple learning styles are integrated into courses that are consistent across countries in the region. An innovative knowledge base for learning begins with the merging of knowledge, instruction and technology. The CCLEC’s E-learning represents this amalgamation. The content and knowledge-base of expert instructors and the practical experiences of learners are fused with advanced web technology to transform the operations of Customs Administrations regionally and Internationally. The result: a highly proficient workforce, responsive to diverse changes in the new millennium.